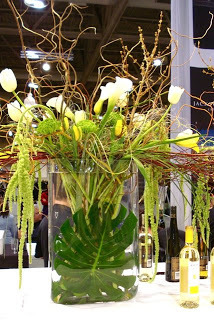 Don’t forget that Canada Blooms is about blooms – and equal partners with Landscape Ontario in the show is the Garden Club of Toronto. 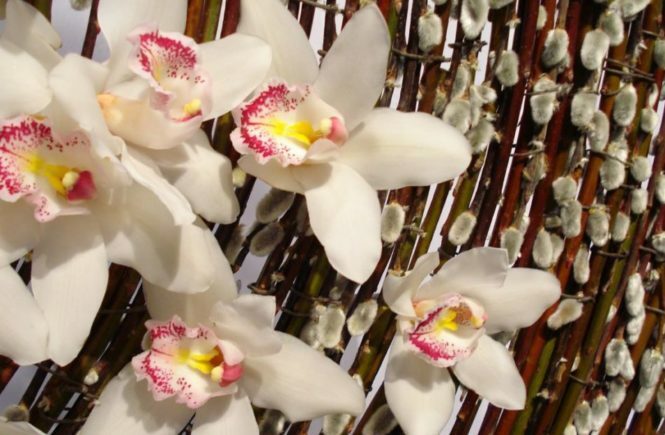 This is a not-for-profit group of amateur (in the true “loving” sense of the word) and often insanely talented floral designers and horticulturists. They are the force that puts the power in flowers every year of the show. Canada Blooms is the biggest moneymaker for the Club, which each year selects one object of its beneficence. From the Civic Garden Centre (now called the Toronto Botanical Garden) to the Don Valley Brickworks (now called the Evergreen Brickworks) and Casa Loma (still called Casa Loma, but stay tuned), there’s scarcely a public garden in Toronto that hasn’t benefited from their fund-raising efforts since 1947. 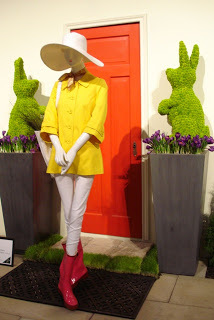 But the fun at Canada Blooms is seeing what these (mostly) gals can do with plant material. 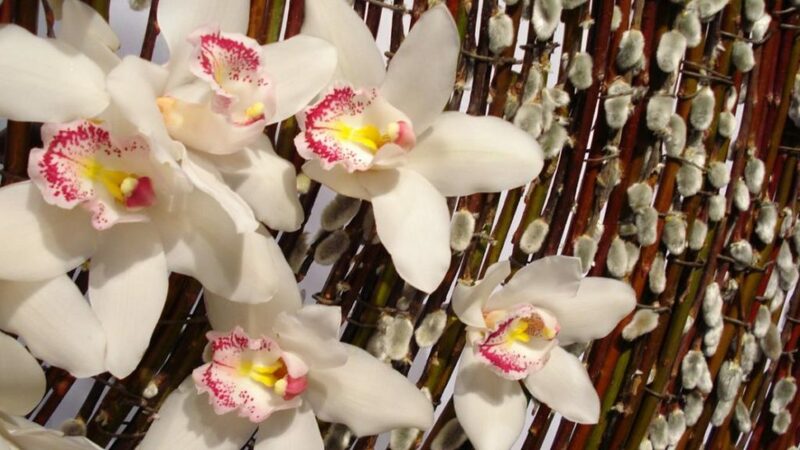 Besides their own floral designs and hort-culture, they invite open-class participation from outside the Club, such members of regional garden societies. We were happy to see familiar names from the Beach Garden Society (their site looks to be under construction as I write this) of which Sarah and I were once active members (in my case, till marathon training intervened). A couple of our Beach chums have since been invited to join the Garden Club… and as you do have to be invited to join, this is a coup. 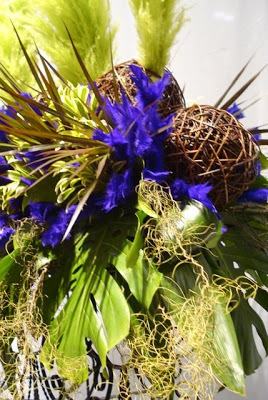 The floral part of the show also ranges to include professional florists, local and international. Celebrities, too, are invited to submit designs, whether on their own or under their “brand,” this year submitting entry gardens. Surprisingly, in this category the biggest design names here were the biggest disappointments. I name no names; visit the show and judge for yourself. Some entries, like the potscape on the left, have lots for the ordinary gardener to take away when it comes to examples scale, proportion and texture. 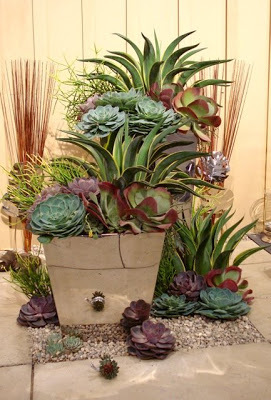 I’d love to be able to overwinter those massive echeveria, the ones that look like giant hens-and-chicks. Others, like this one on the right by Joe Fresh, work well as striking design pieces and say something useful about colour and balance. Though those mock-topiary bunnies, made from green mums, won’t last much more than a week, maybe a week and a half. One of the bits of serendipity for us this year was chancing on a presentation by the Garden Club’s Heather Anderson called More for less. Here, Heather talked about arranging flowers that are snubbed by floral snobs as too boring, namely baby’s breath, carnations or chrysanthemums. It was a great reminder that even these lowly materials have a useful place in our lives. Flower power, indeed. Grrreat summing up and commentary of our Canada Blooms experiences. Nice mention of Canada Blooms tour de forces of yesteryear. No, actually March is the cruellest month, due to This Stuff.